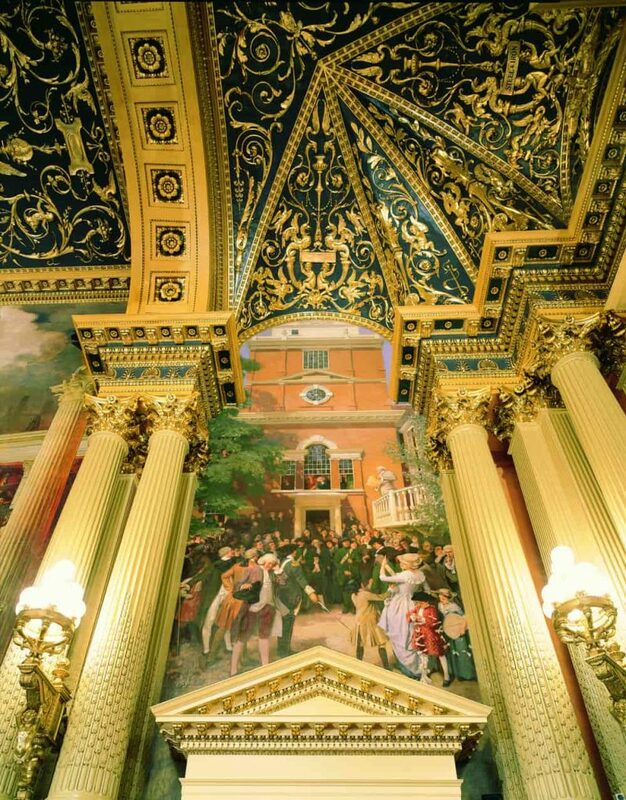 Pennsylvania State Capitol Restoration | John Canning & Co. 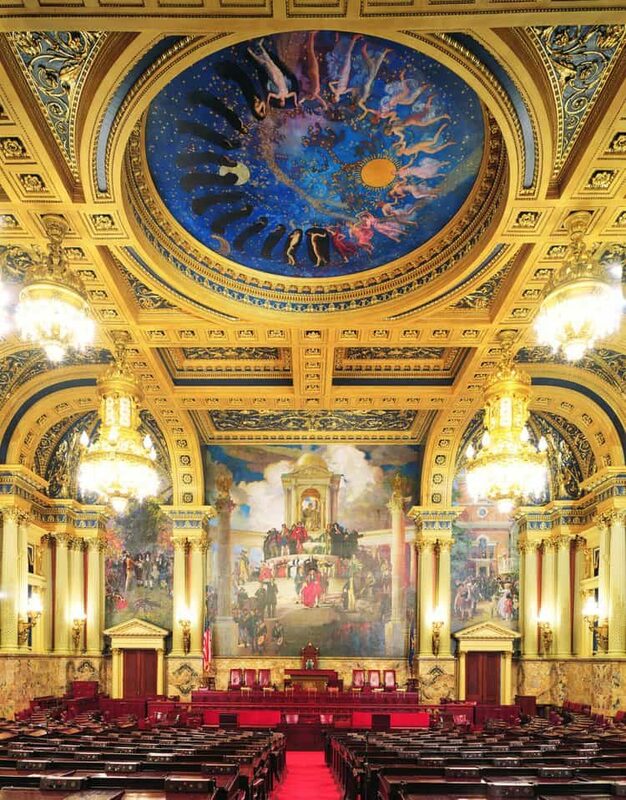 Significant projects include the restoration of the plaster, decorative painting, and historic woodwork repair and refinishing in the House Chamber Ante Rooms, including the Members Lounge, Vestibule Post Office, Governors Ante Room, House Chamber Portico Doors, and the Ladies Waiting Room. The architectural woodwork at Rostrum in the House Chamber was also refinished.